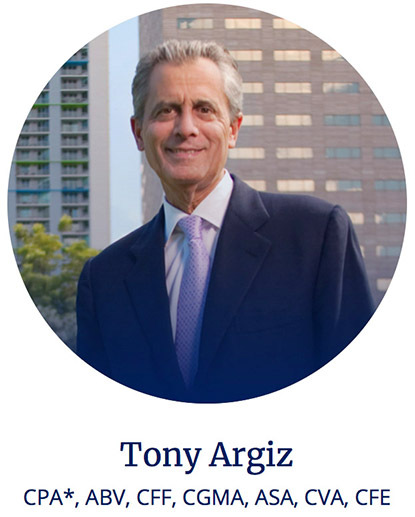 On February 13th, the weather did not deter over 800 guests from joining the Miami Chamber of Commerce in celebrating the 36th annual Sand In My Shoes Award Program (Man of the Year) honoring Tony Argiz from MBAF, Certified Public Accountants and Advisors. 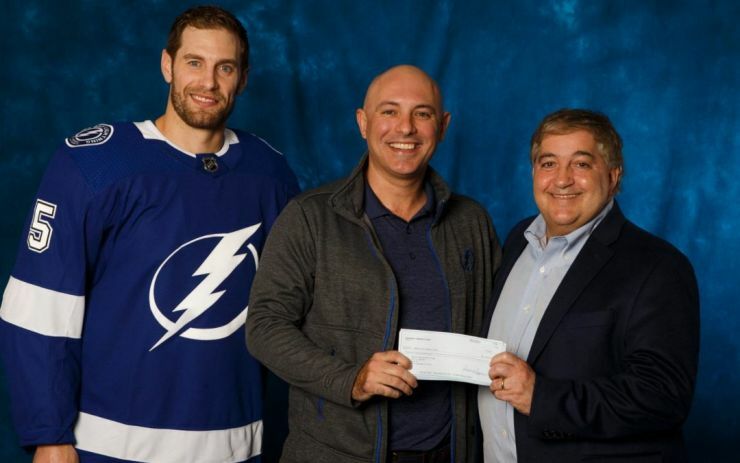 This award is presented to outstanding community leaders who have made significant contributions to the South Florida region, demonstrating their involvement, love and dedication to our community as the best possible place in which to live and work. 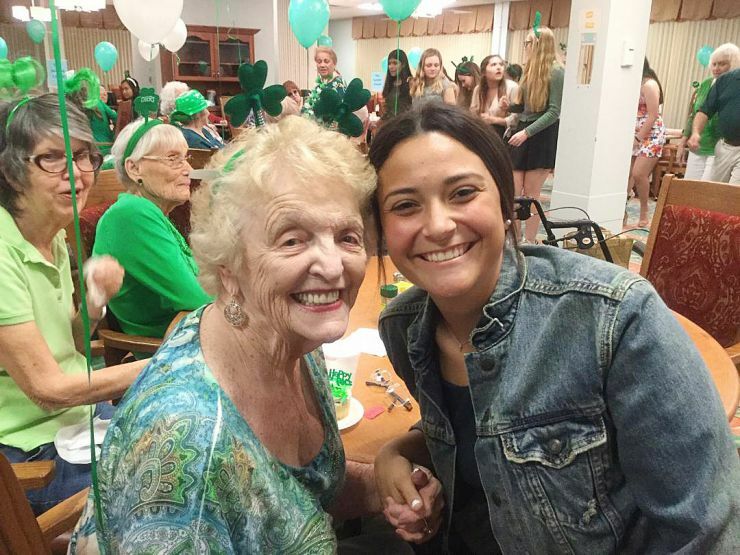 Juniors and Seniors - Tuesday, January 29, 2019 As part of our school celebration of national Catholic Schools Week, Tampa Catholic will host a Grandparents Day Mass and reception. 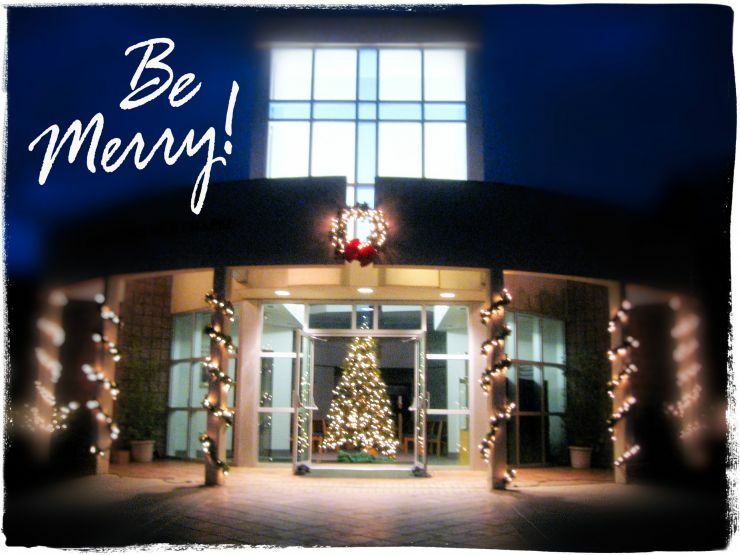 We will be blessing and lighting the official TC Christmas tree on Thursday, December 6th, at 7:00 p.m. starting in Crusader Hall. This much beloved annual event is a spectacular kick off to the holiday season. 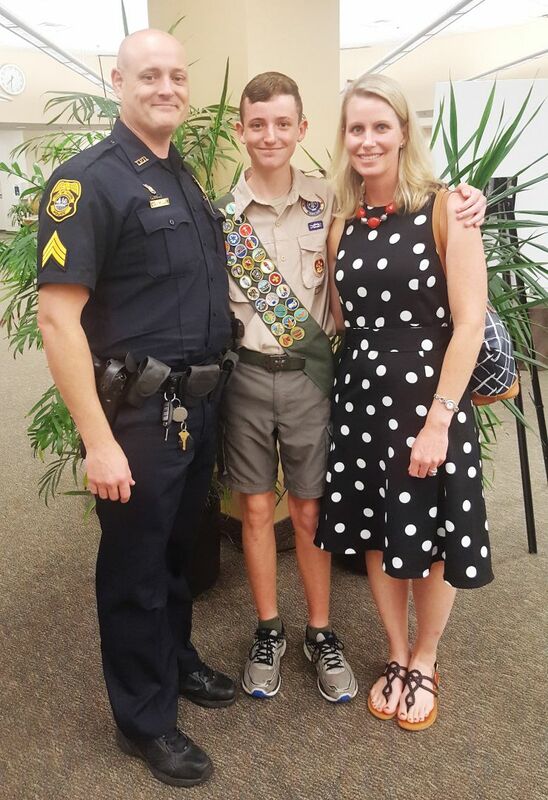 We invite all current, past and future TC families to join us at this family-friendly event. 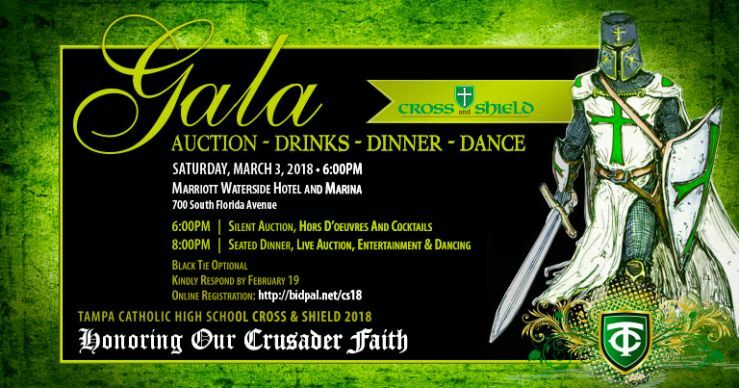 Hope to see plant of Crusader Alumni there too! 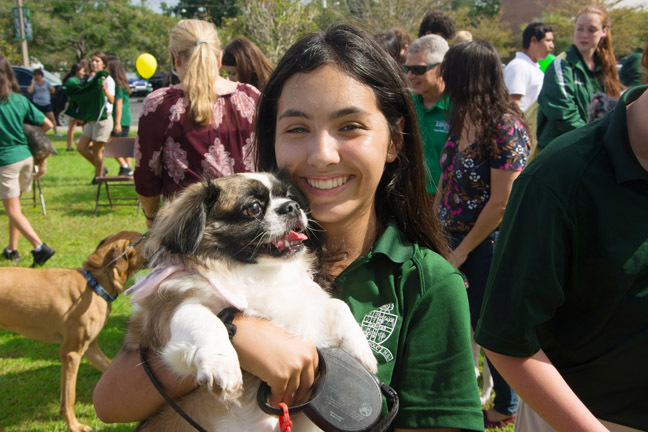 Each year, Tampa Catholic hosts an evening for prospective students and their families to tour the campus and learn about Tampa Catholic’s academic and student life. 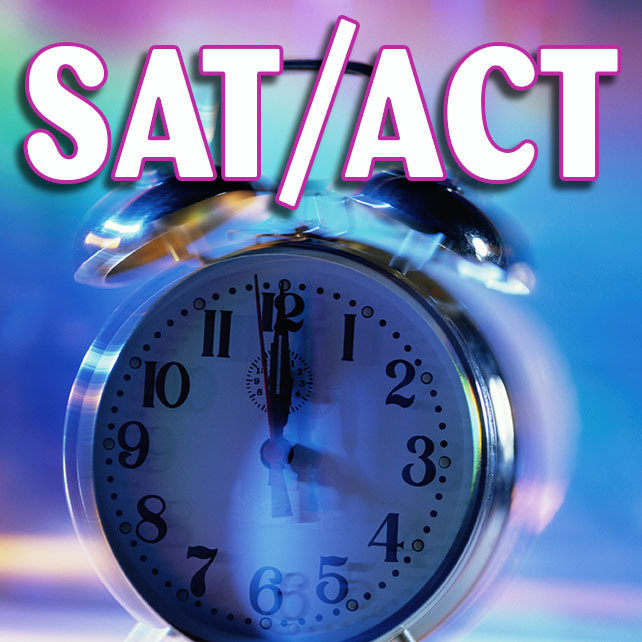 On Wednesday, October 10th 2018, Freshmen will take the PSAT-9 and Sophomores & Juniors will take the PSAT/NMSQT Tests. Seniors will not be in school on this day. Tell your family, friends and neighbors! 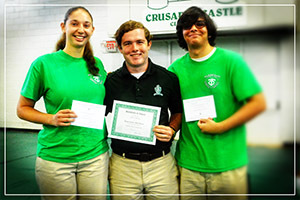 Tampa Catholic is looking for the best and brightest to join the Class of 2023. Applications are now available online. We give thanks for the two members of our TC Campus Ministry team, Eli Norden and Parker Martucciwho, who will serve the TC worshipping community as Extraordinary Ministers of Holy Communion at our school Masses. 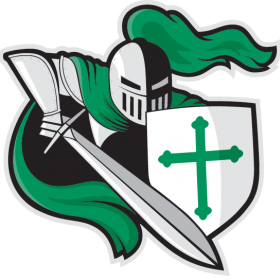 Tampa Catholic High School is pleased to announce the appointment of Jeris McIntyre, a Class of 1999 alumnus, as the Crusader’s head football coach. Coach McIntyre has been an assistant offensive coach at TC for the past three years and replaces Mike Gregory who has decided to take a collegiate coaching position at Lyon College in Batesville, Arkansas. 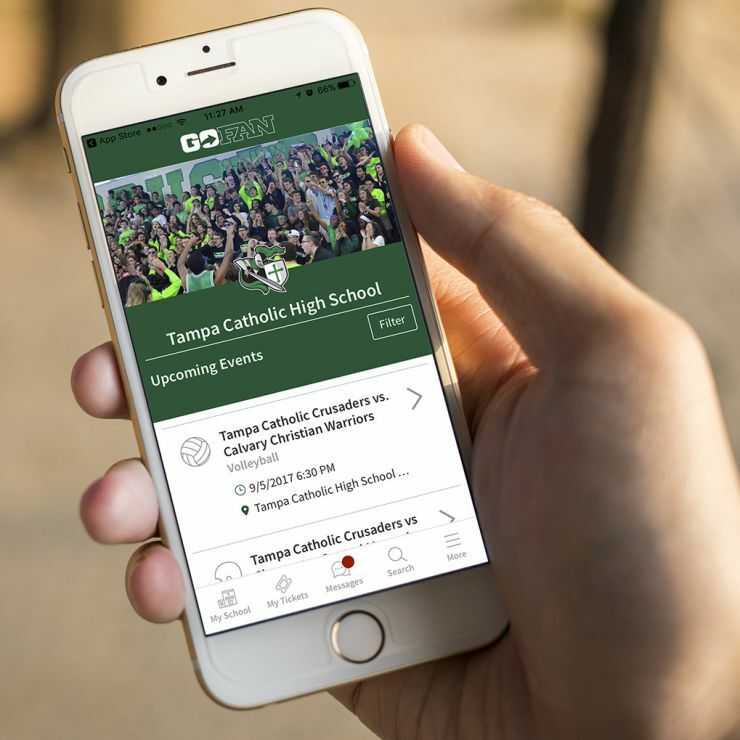 As we prepare for the 2018-19 school year we wish to announce that Tampa Catholic High School will be making a significant technology change beginning in the 2018-19 school year. We will be moving to the Canvas Learning Management System (LMS) in August. Canvas will be replacing our use of Edmodo. We have created a ‘Quick Start Guide’ for the new school year that will help our newest parents jump right in to our TC Family. 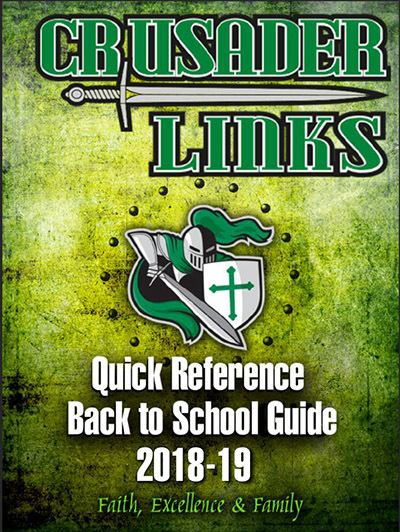 The ‘Crusader Links’ booklet can answer many of the questions that new parents might have about beginning at new chapter at a new school. Need to know what books you should be reading this summer? Here is the list of all summer reading books and how to get them. Books may be purchased thru MBS Bookstore, see Quicklinks button in title bar of each page. 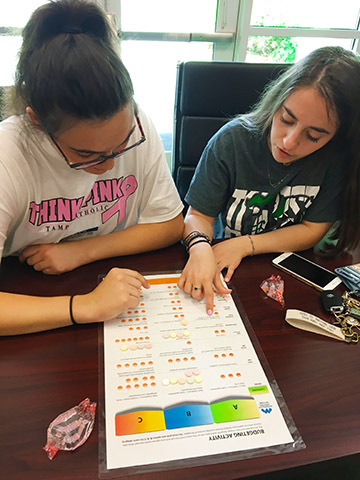 Destination TC is a two-day program with the goal of integrating our incoming students into the school community prior to the start of the academic year. 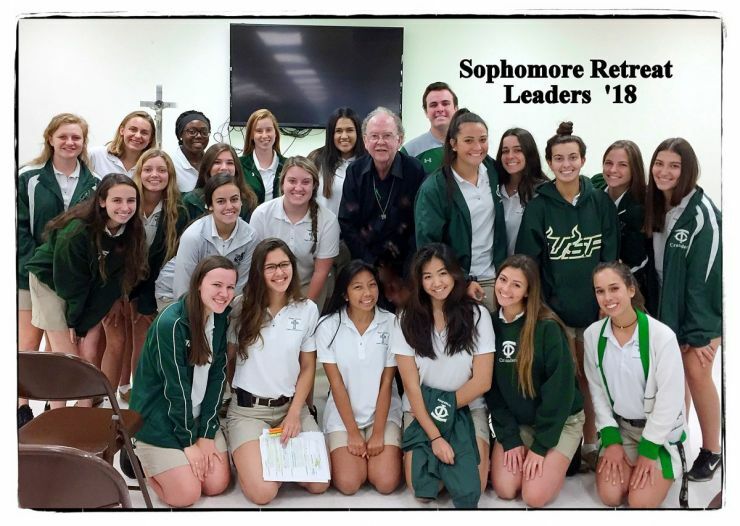 The SHAPE Seniors want to build confidence and connectedness in your young adult in order to jump-start their success at Tampa Catholic. 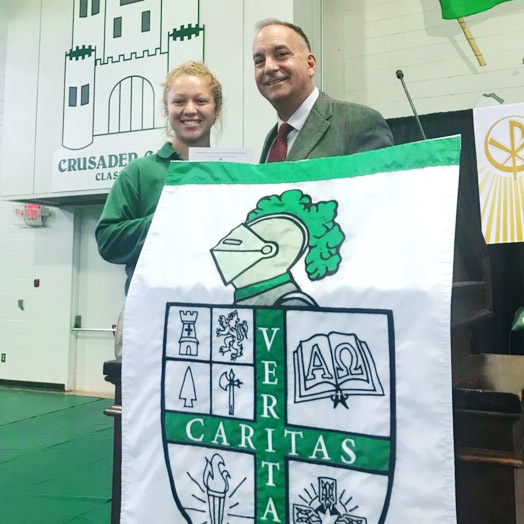 This introduction will allow for a more seamless transition from middle school to high school to ensure that once the school year begins, your Crusader will have all of the tools necessary to thrive as a member of the Tampa Catholic family. 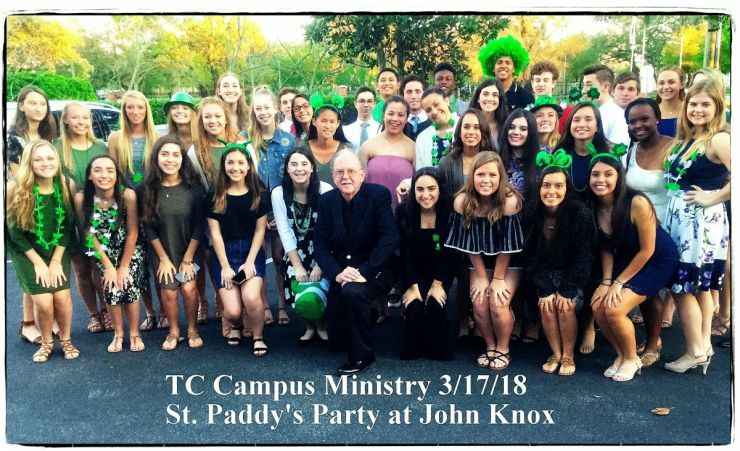 We give thanks for the sixteen members of the TC Campus Ministry team who will serve the TC worshipping community as Extraordinary Ministers of Holy Communion at our school Masses. 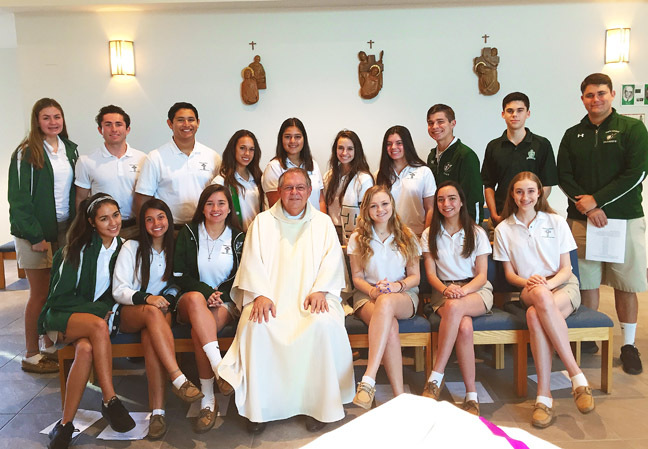 Last week the sophomores took a day from class to enjoy their class retreat. The day consisted in group discussions, ice breakers, films, and witness talks by our faculty and students. 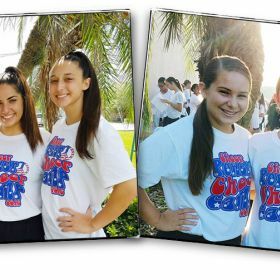 STATE TRACK: Good luck today to 3 of our track student athletes that are competing in the state 2A track meet at IMG Academy in Bradenton. 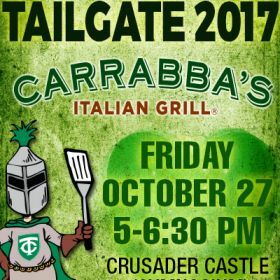 Plus Baseball Regional results, Football Spring Training and Basketball "Battle of the Beasts" this Saturday at Crusader Castle. 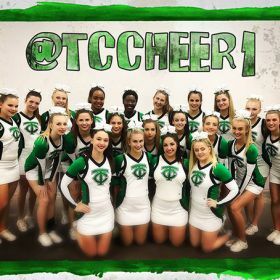 Want to cheer this summer? Come on and join us in the TC gym. 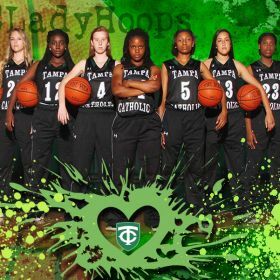 Several Tampa Catholic coaches will be holding children's summer camps on campus this summer. 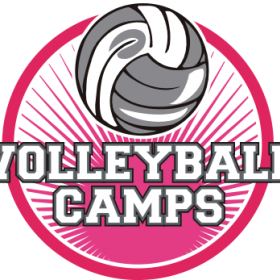 As information and dates become available, we will post the camp information here. 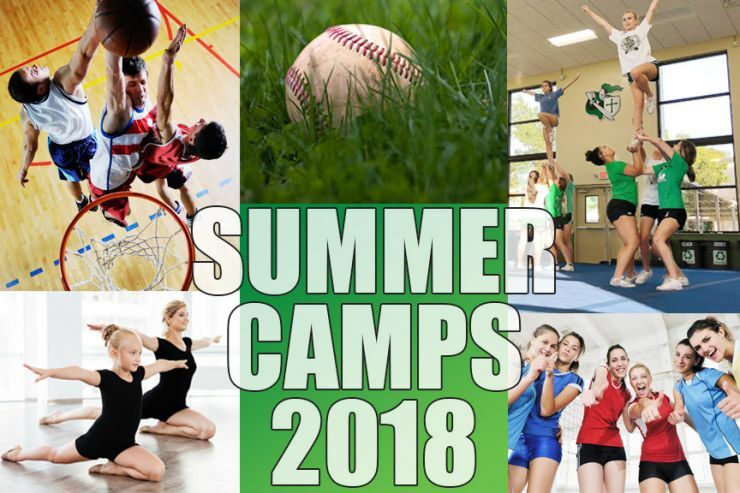 Please click on the links below to get further information about individual sport camps held at Tampa Catholic this summer or to download camp specific information and sign-up forms. If you have additional questions you can navigate to the team pages for coaches contact information. 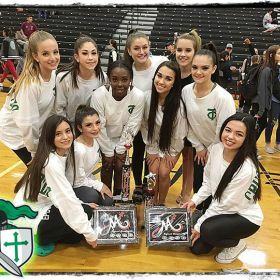 TC Crusaderettes announce details of tryouts for the 2018-19 school year, starting with a mandatory meeting on March 27, 2018. 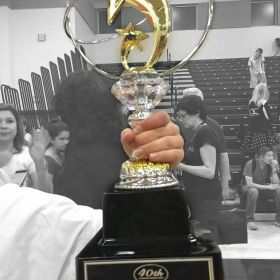 Check out the results of the Crusaderettes annual trip to the MA Dance Regional Competitions 2018. 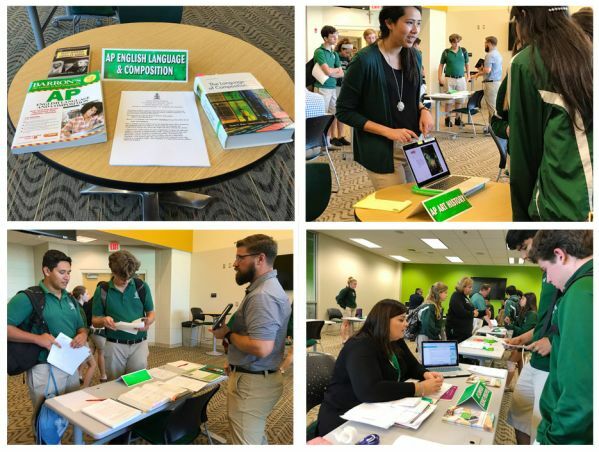 Sixteen AP teachers from Tampa Catholic gathered in the Learning Lab on Wednesday, March 7th, to provide information to students about the AP courses offered at TC. Students were able to visit with teachers and ask questions about course objectives, exams, workload expectations, and instructional methodologies. 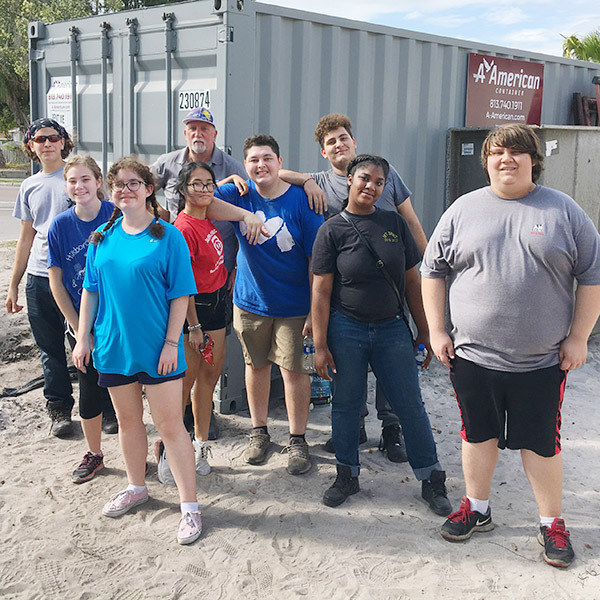 On Saturday, January 27, the Tampa Catholic Habitat for Humanity club showed up at a construction site at a house on Morton Avenue at 7:30 in the morning to perform a home preservation. 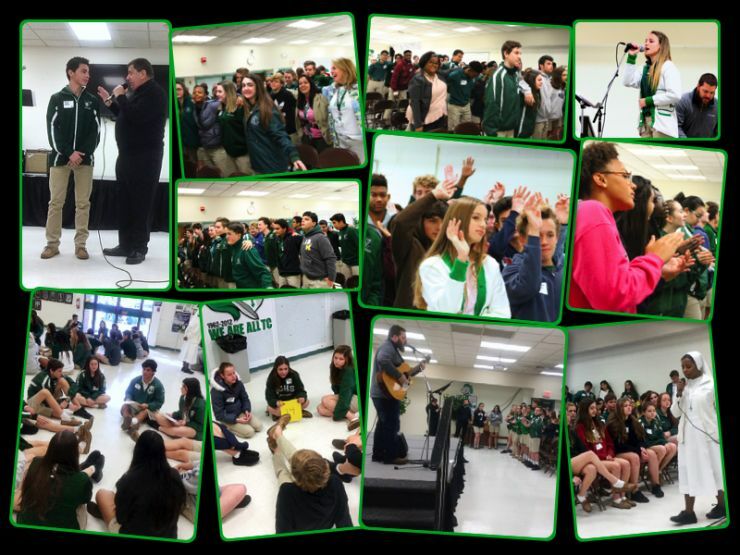 For the TC freshmen, last Friday, February 19th, was all about focusing and re-focusing on the plan God has for them in their lives. The entire freshmen class gathered for the annual 9th grade “Re-Focus Retreat” here on campus. 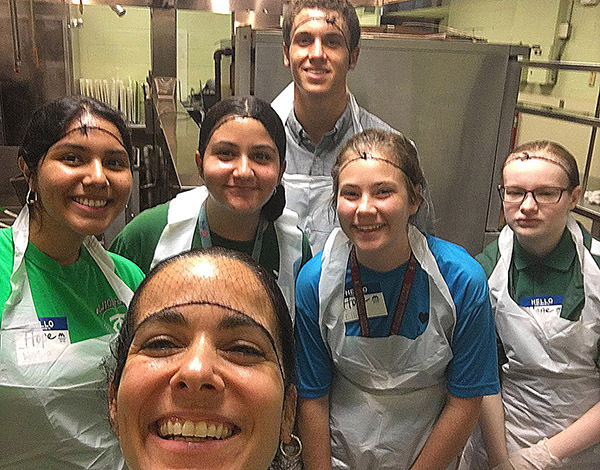 On Saturday, December 16th, 25 student members of the TC Campus Ministry Team hosted a Christmas Luncheon for the senior citizens at John Knox Village. 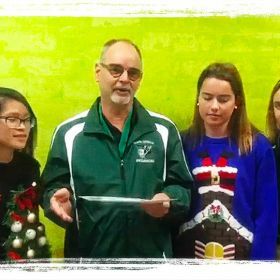 I had the opportunity on Tuesday of this week to present the student/athletes of the month award to 3 of our outstanding student/athletes. And two of our teams will be participating in prestigious tournament over the Christmas break. 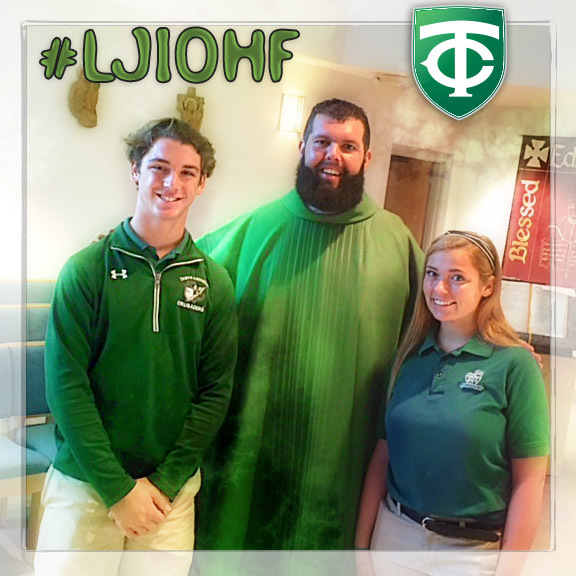 In November, thirty-five Tampa Catholic juniors and seniors attended the National Catholic Youth Conference in Indianapolis, Indiana held every two years. This week, following the Thanksgiving holiday, we reflect on our many blessings, I want to take this opportunity to share some of the things for which we are thankful. We will be blessing and lighting the official TC Christmas tree on Wednesday, December 6th, starting at 7:30 in Crusader Hall. 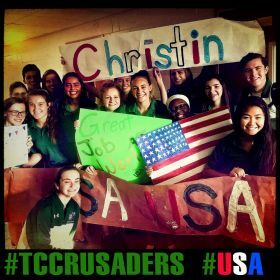 The event is truly a wonderful way for TC students, families, faculty and FUTURE CRUSADER FAMILIES to get in the mood for the start of the Christmas season. 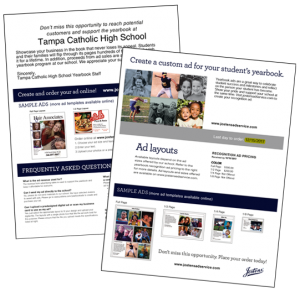 This year, the Tampa Catholic yearbook staff is offering both recognition and business ads to the TC community. 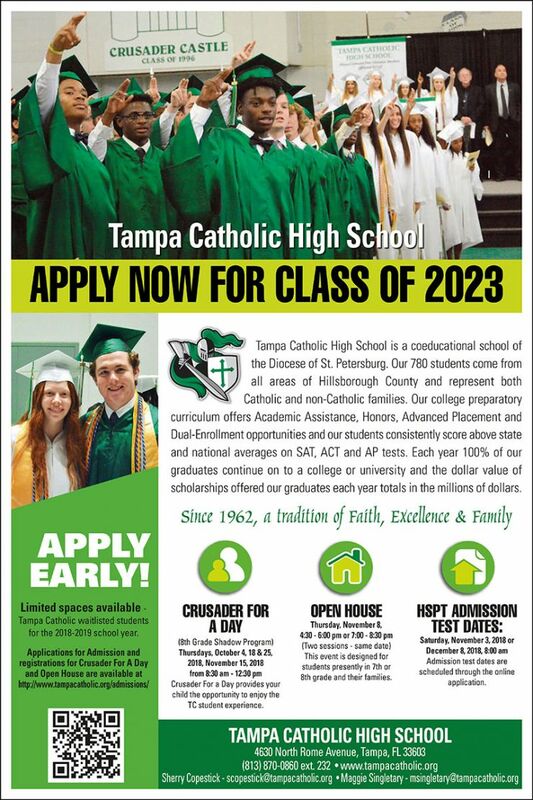 This is a great opportunity to promote your business or recognize your child on their achievement in their last four years at Tampa Catholic. 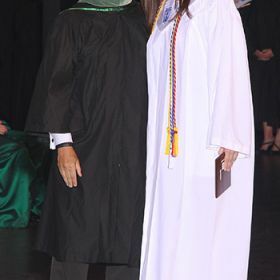 Congratulations to seniors Ricardo Rojas-Armstrong and Ashley Sieper who have been recognized as National Merit Commended Scholars for their outstanding achievement on the PSAT/NMSQT. Welcome back alums. This is a great time of year for schools across the country as they welcome back alumni during Homecoming activities. 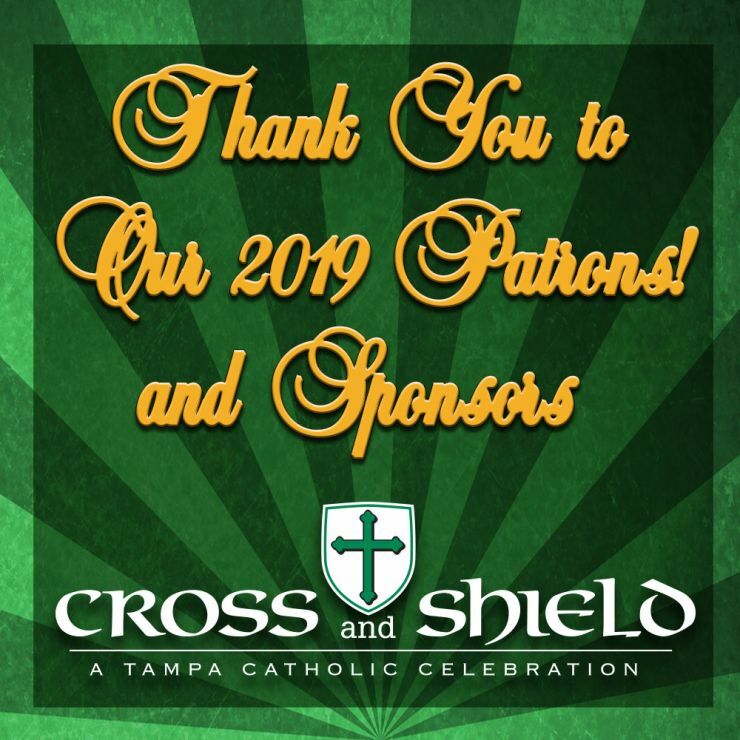 Tampa Catholic will be a busy place this weekend as many activities are planned. 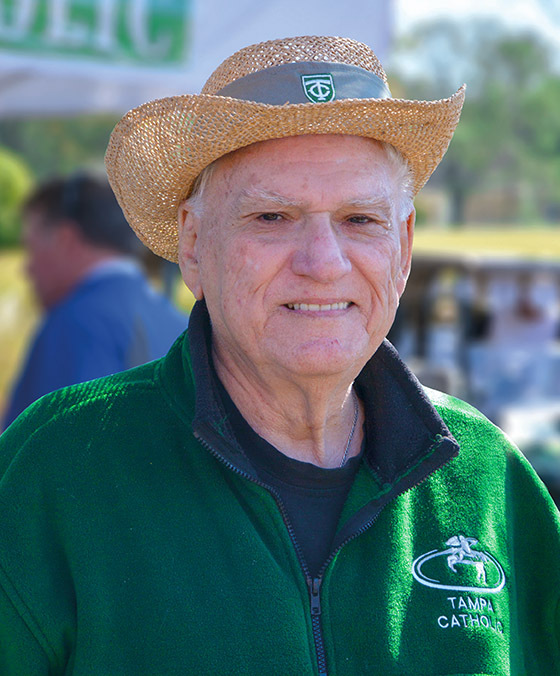 The DiMaggio Golf Classic is taking place this morning at the beautiful TPC Golf Course in Lutz. This annual event is the big fundraiser for our athletic department. Every fall, schools from across America call their former students back to campus to reunite the far-flung members of their extended families. It is a tradition called Homecoming. It’s hard to believe that some of our fall sports are getting ready for their district tournaments next week, but that’s what happens when time flies. 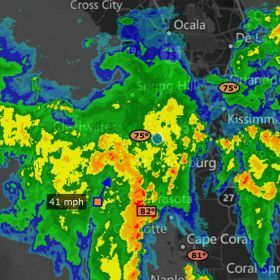 Although the weather sure makes us think that it’s still summer, we know that we have moved into the fall and hopefully the weather will start to get cooler for us. 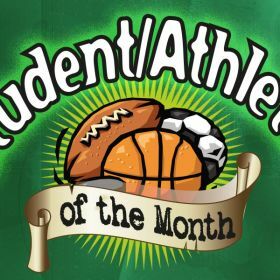 Throughout the school year the athletic department takes nominations from the coaches for student/athletes of the month. 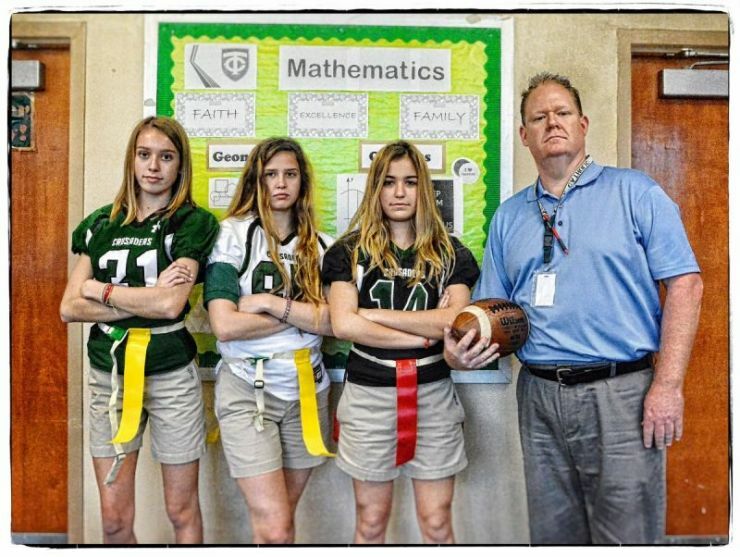 Each month one female and one male student/athlete is selected. 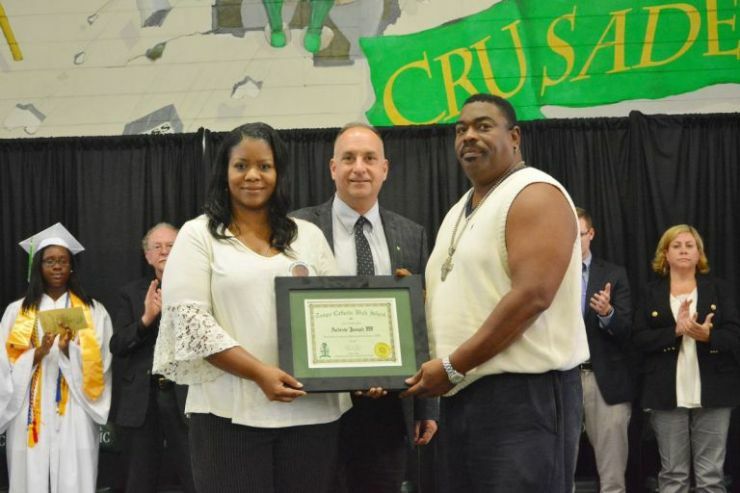 They receive a nice certificate at a ceremony that is videoed and shown to the entire student body during homeroom. 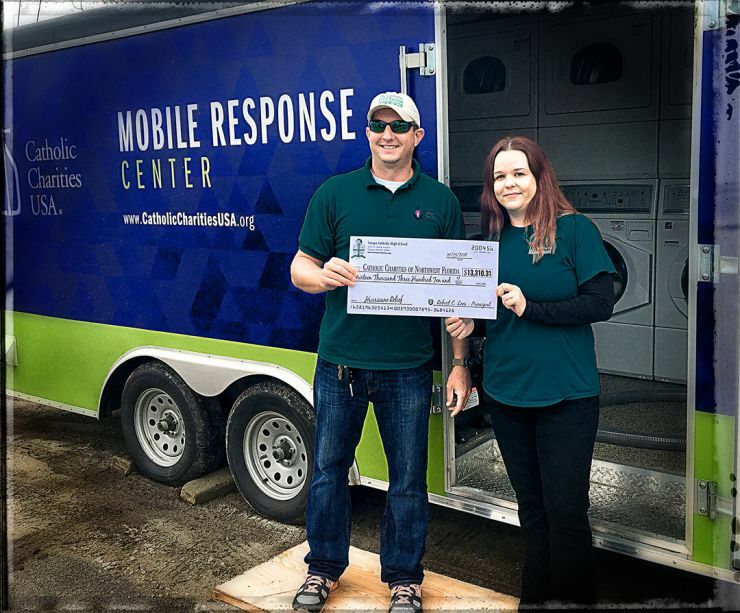 This week is Carefest in the Diocese of St. Petersburg. 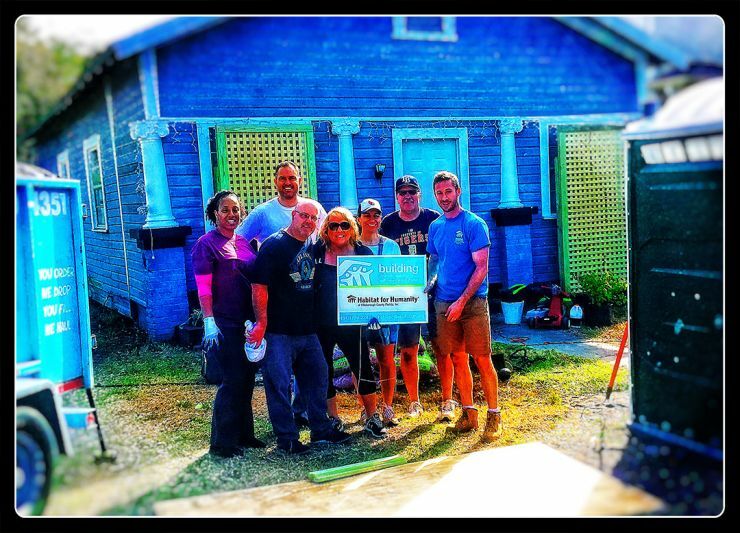 It is a week in which we focus on our Christian duty to serve others and to selflessly give back to those in need. We have many projects planned this week with our students through their classes and clubs. Let me take this time to welcome all of you to the 2017-18 school year and my Athletic Director’s blog. I hope to be able to keep you informed of the many things that will be taking place in the athletic department this year. We are anxious to get started and happy to have you along for the ride. 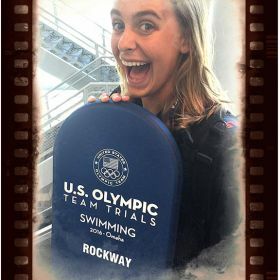 READ MORE about Cross Country, Ticket Sales, Swimmer Christin Rockway & Upcoming events. 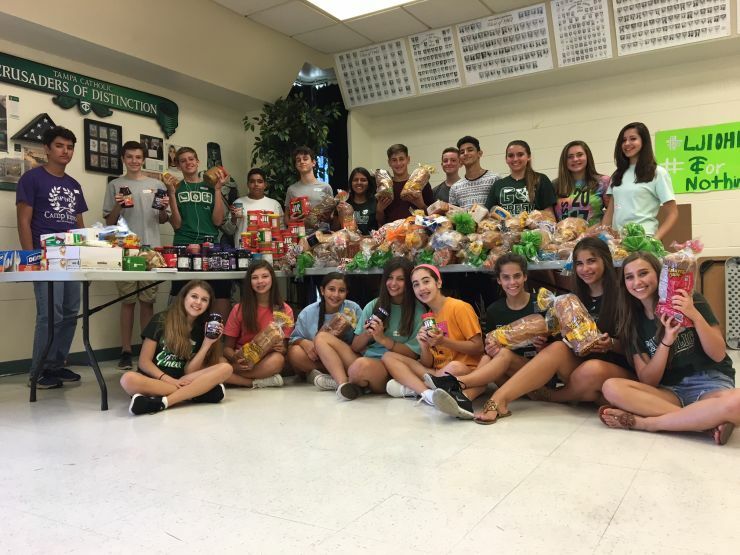 Girls and boys Cross Country team is sponsoring this collection drive. 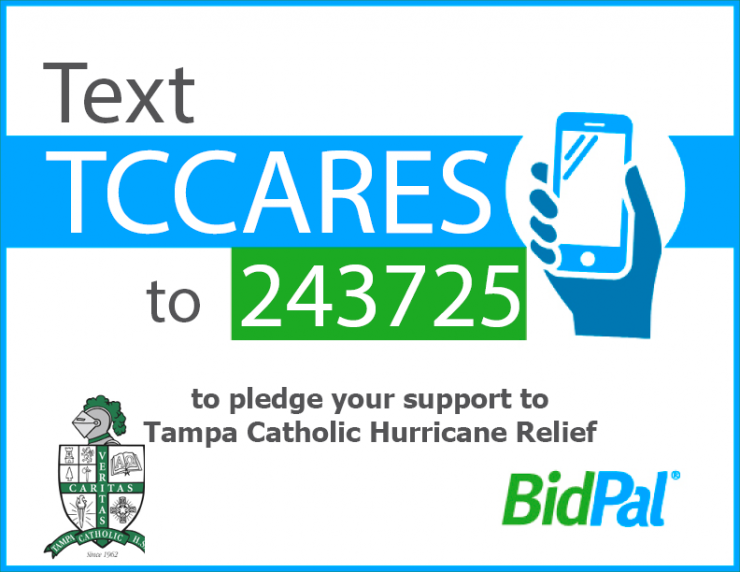 Please donate your gently used shoes to help students succeed In Hillsborough County. Attention CROSS COUNTRY Runners! We will be having a meeting for all potential runners and their parents on Monday, August 7th at 7pm at the track. 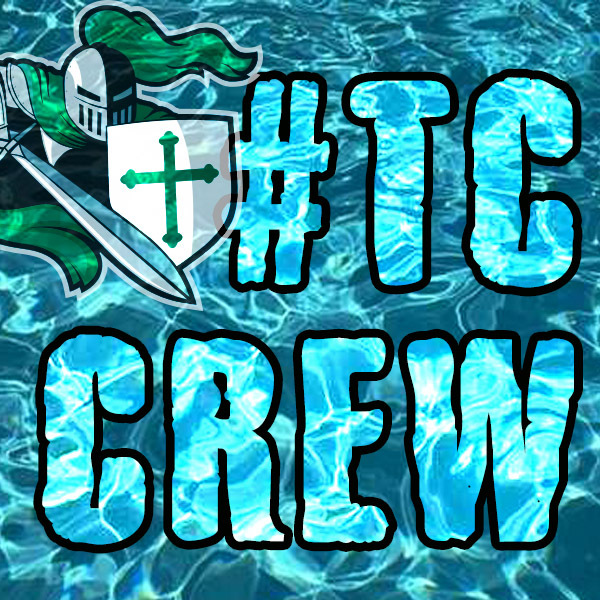 Crusader Swimmers! 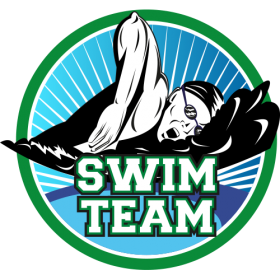 There will be an organizational meeting of the Crusader Swim Team for the parents of all returning and prospective swimmers in Crusader Hall at 5:30pm on Thursday, 10 August. 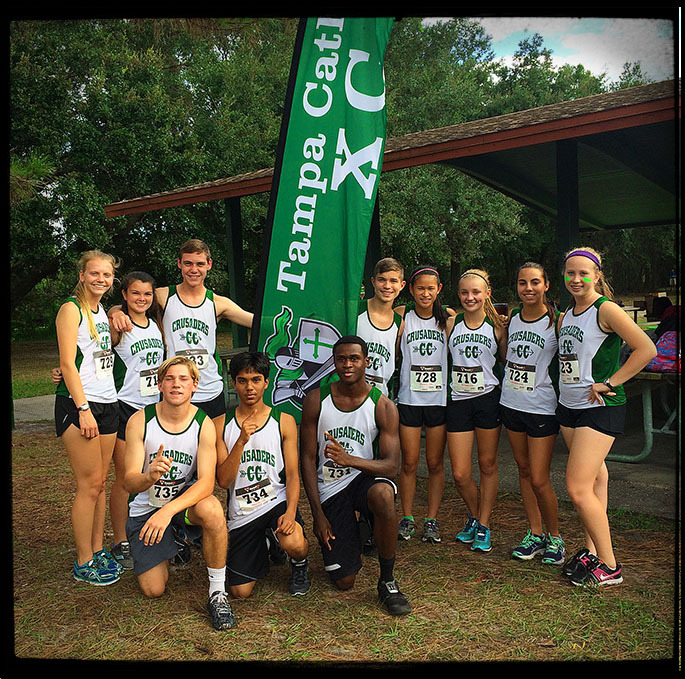 Calling all student athletes, the 2016 Cross Country season begins with its first official week of practice on Monday August 1st to Thursday August 4th at 4pm. All students are welcome, both returning and new to TC. Read for more details on locations & training. Thank you all for your interest in attending the Win The Day football camp. 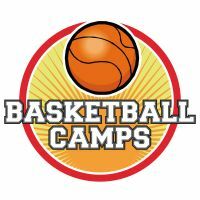 Unfortunately, due to the low attendance numbers and some pressing obligations of our coaching staff that have arisen, we will need to regretfully cancel this year's camp. 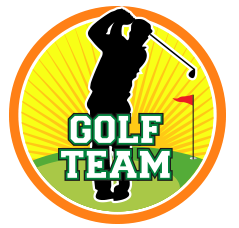 Anyone interested in trying out for the golf team should contact Coach David Frederick or Russell Spicola. We have put together a Quick Reference Book for the upcoming 2017-18 school year. It provides new incoming freshman & transfer students' parents with lots of answers to lots of questions. 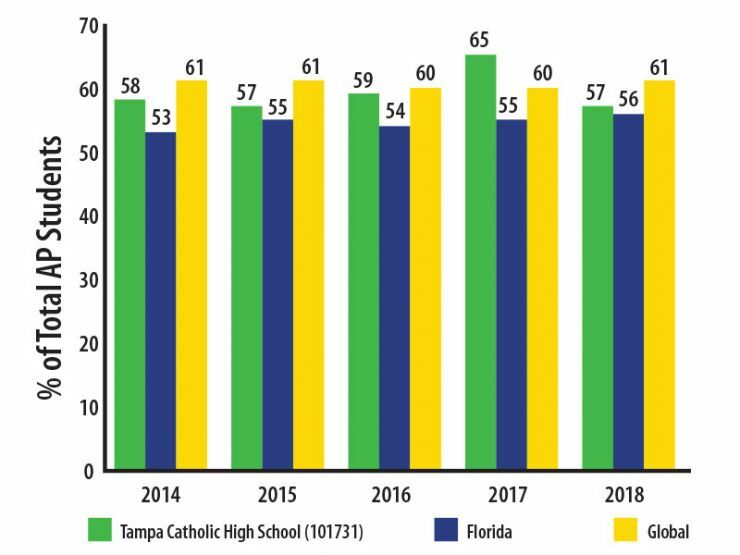 Summer Reading 2017: Tampa Catholic students are expected to continue to improve literacy skills over the summer. 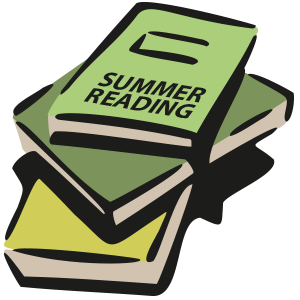 For this reason, each English course has an assigned summer reading book for students to read. 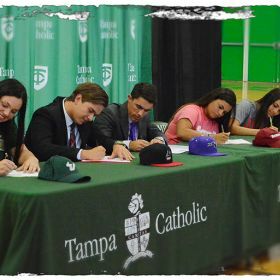 Tampa Catholic High School Baseball is looking forward to our 2017-2018 school year. We will be conducting workouts for the 2017 incoming freshman and transfers. 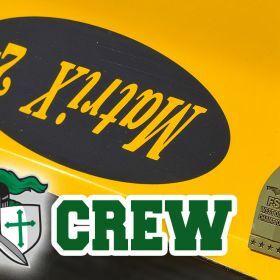 The workout will be held on Tuesday, May 30th at Tampa Catholic High School baseball diamond located across the street from the main campus, behind the football field. 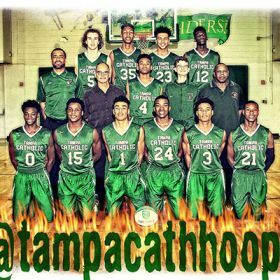 The tryouts are open to all players who have been accepted to Tampa Catholic High School. 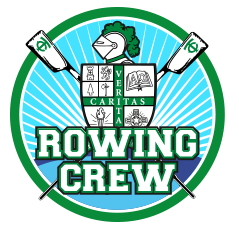 Congrats to our Crew Team as they hone their skills at the District Championships. 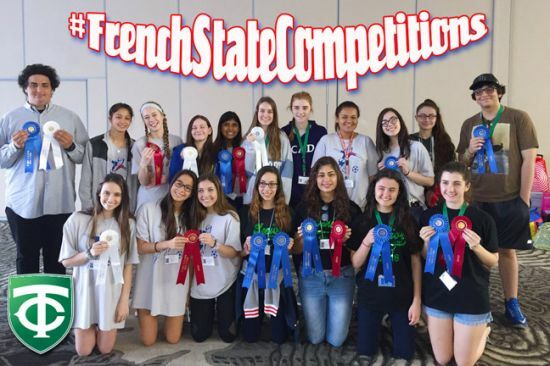 Read more for medal winners and results. It has been a hectic last 3 weeks with the success of our basketball team, and I don’t know how I’m finding the time but I am to write a short blog. 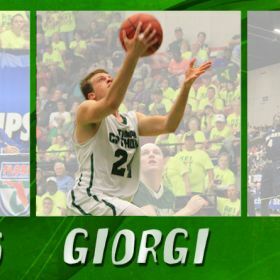 Our boys will be playing in the State Championship game tomorrow morning at 10:00 in the Lakeland Center. We like to think of it as ‘Breakfast in Lakeland’. 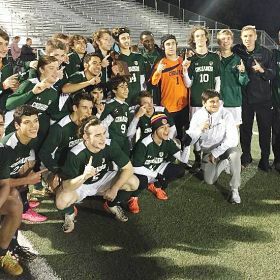 Updates on Basketball teams playoffs along with boys soccer and spring sports news. 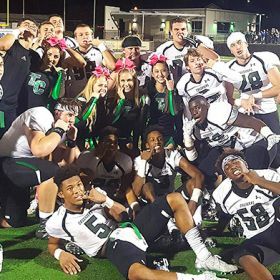 Boys Soccer plays for District Championship, TC Cheerleaders complete in State Finals, Boys & Girls Basketball finishing regular season play. 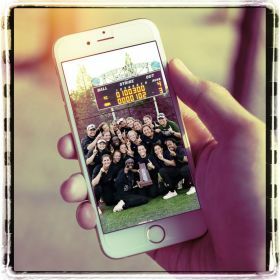 Catch team updates for Basketball, Soccer, and Cheerleading, along with volunteer needs and our spring sports kick off. Happy New Year from the A.D. The Athletic department here at TC, Benny Rodriguez and I, would like to wish all of you a happy and prosperous New Year. Many of you have come to our aid, helping us with working the gate and the concession stands at our events and we are very thankful for your volunteering. 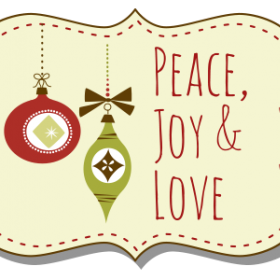 Check out the latest AD Blog for the holidays. 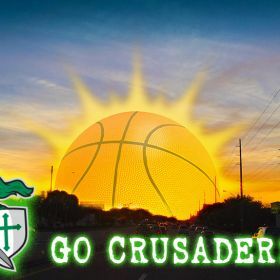 Updates on boys & girls basketball playing holiday tournaments, along with boys & girls soccer updates and prayer requests for TC Hall of Famer, Mike Kosiba. One of the nice things I get to do as the athletic director is to present awards each month to a couple of our outstanding student/athletes. On Thursday morning I presented awards to 2 of our golfers who were fantastic in October. Checkout this weeks sports news... Five student athletes sign letters of intent this week and catch up on football, swimming, soccer & basketball. 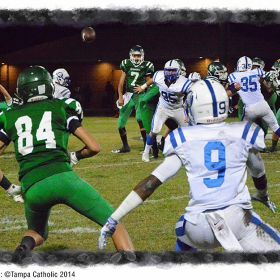 The GAME: Tonight is the big football game between our Crusaders and the Tigers from Jesuit. Jesuit has beaten us 16 consecutive years and having watched the Cubs win the World Series on Wed. after 108 years of not winning I think it’s about time for our football team to put an end to the streak just like the Cubs did. Our team will have to play well as Jesuit enters the contest with an undefeated 8-0 record. They are state ranked, but our team has played a very difficult schedule which should prove to be a benefit to us. I hope to see all of you at the game. 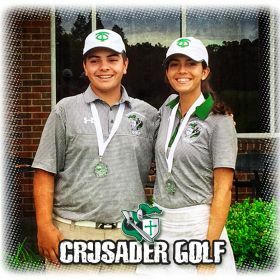 Crusader sports updates for Swimming, Crew, Football, Cross Country and Golf. Along with our Winter sports. As I write this blog on Thursday afternoon on my way to leaving for Stillwater, Oklahoma and Oklahoma State to see my son, TC grad Thomas, I felt compelled to write about golf. 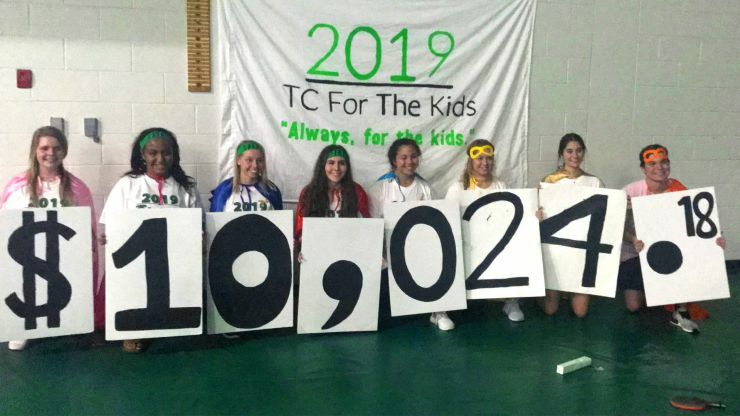 Golf isn’t one of those high school sports that gets a lot of publicity, but I can assure you that our golfers put just as much effort into it as the sports that get much more publicity. I have to tell you about the emotional high of sport and the emotional low of sport. 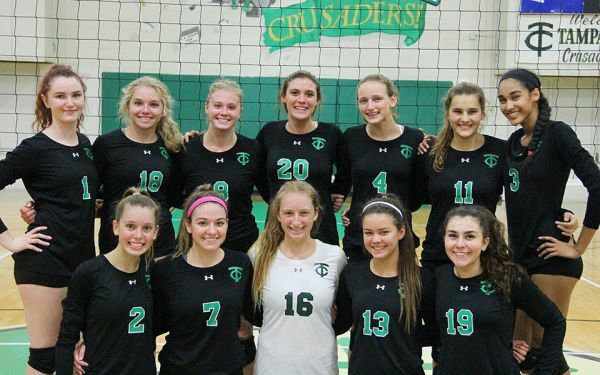 Read more about the great successes in our Crusaders Fall sports! Including Golf, Volleyball, Football, Swimming, Cross Country & Crew! 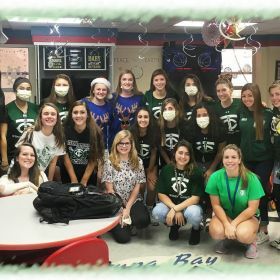 The Tampa Catholic High School Women’s Lacrosse Program is pleased to announce that once again, we are working with Tampa General Hospital to bring Christmas Joy to pediatric patients undergoing treatment over the Christmas Holiday. 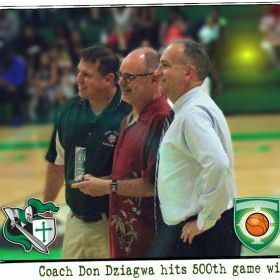 Athletic Director, Don Dziagwa shares his busy week of events, especially Friday night! 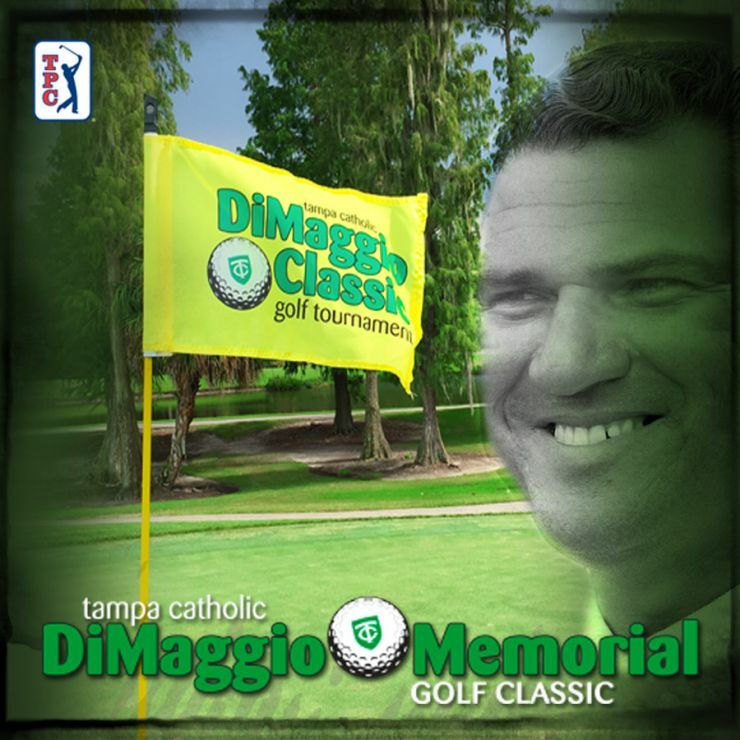 Discusses the important of supporting the DiMaggio Classic Golf Tournament and reviews our fall sports, including swimming, crew, cross country, volleyball, and golf. 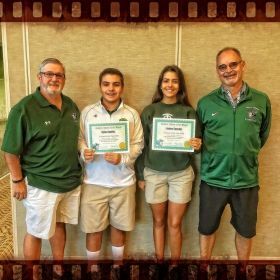 Coach D, Athletic Director, announces the winners for August 2016 Athletes of the Month. 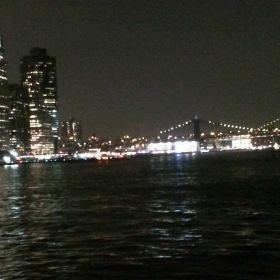 As I look back on the football team’s trip to New Jersey to play Bergen Catholic I hope the players and coaches got as much out of the trip as I know my basketball players do when we have taken similar trips. Although the game score didn’t turn out as we had hoped the experience of traveling together, seeing New York City, and playing against a top quality opponent is immeasurable. 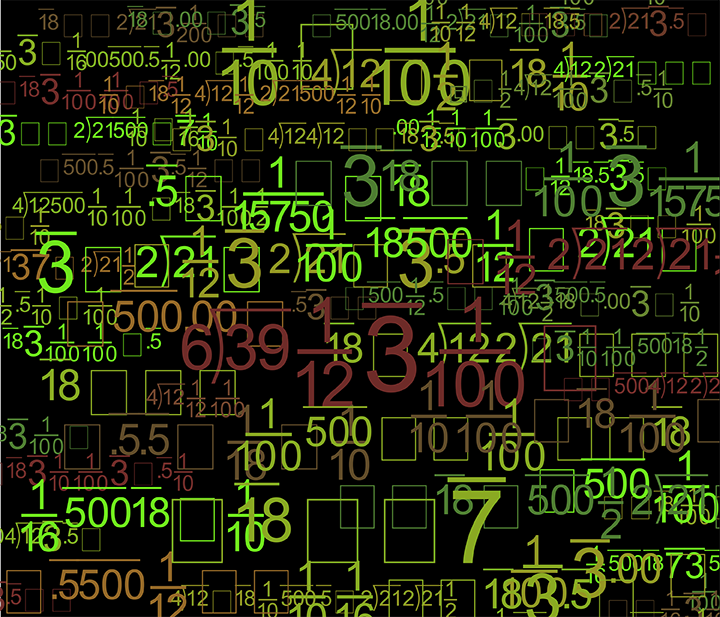 History is being made as you read my blog this week. 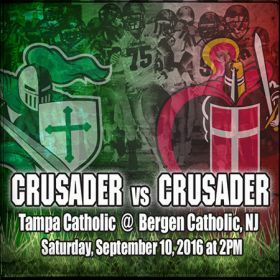 For the first time in the history of Tampa Catholic the football team is in New Jersey to play Bergen Catholic in a game tomorrow at 2:30. On Monday, Aug. 22 I met with all of our coaches. They make me realize how much I love my job. The excitement that they display about having the opportunity to work with young student-athletes makes me as a coach feel what a great profession I am in. 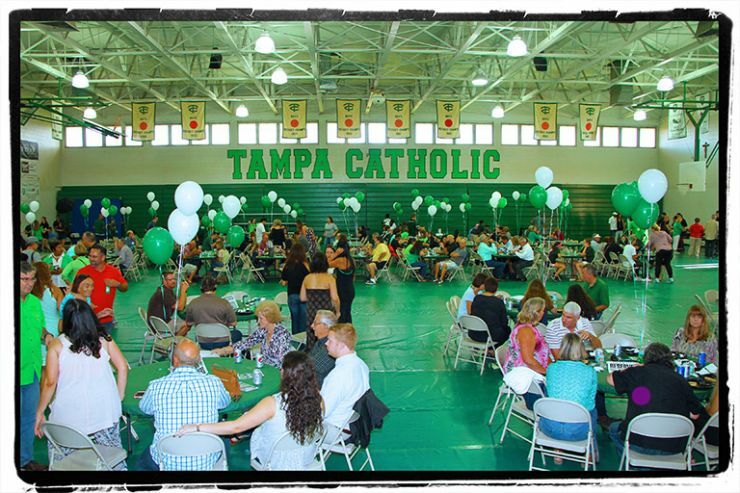 We are truly blessed to have so many fine coaches working here at Tampa Catholic. Want to know who made the Cheer team captains, click "read on". 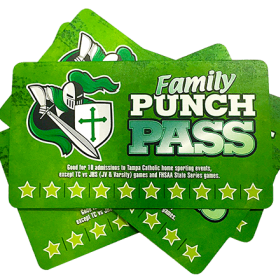 In this blog: What's a Family Punch Pass? Pre season & regular seasons begin. 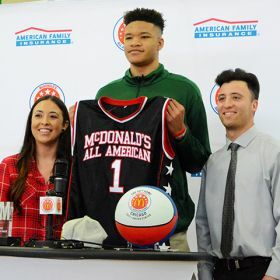 Knox plays in Elite 24 Under Armour game in NYC. 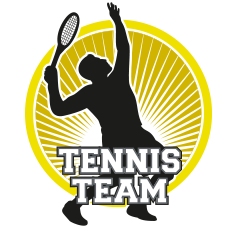 Our fall teams have already started practicing or will very soon. 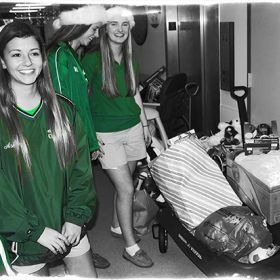 Read the full blog for updates on football, volleyball, crew, cross country, golf and swimming. 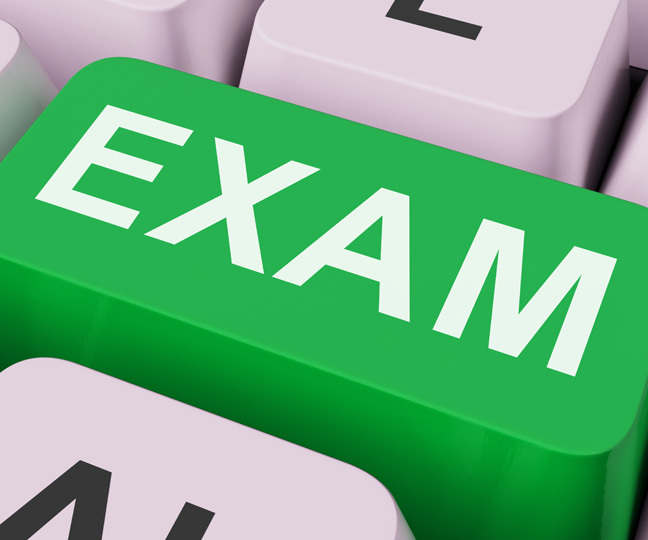 Get ahead of the game!! Be sure to READ MORE if you want to get involved in TC Baseball! Welcome back! Read about 2 of our top athletes and what they accomplished this summer. Christin Rockway and Kevin Knox. 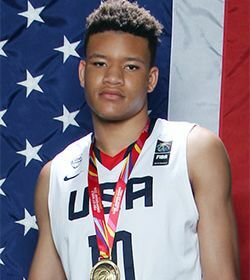 Senior to be Kevin Knox wins gold medal with the USA U17 National Team in Spain. 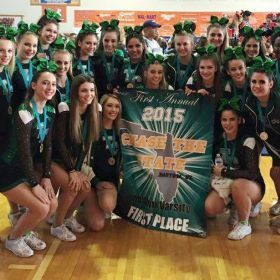 Final tryouts for the 2016-17 school year will be held August 17 & 18 from 6:30 pm - 8:30 pm. 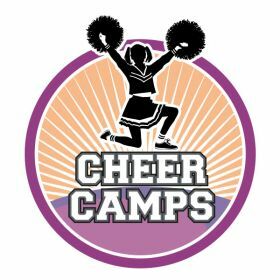 Please email tampacatholiccheerleading@gmail.com for more information. 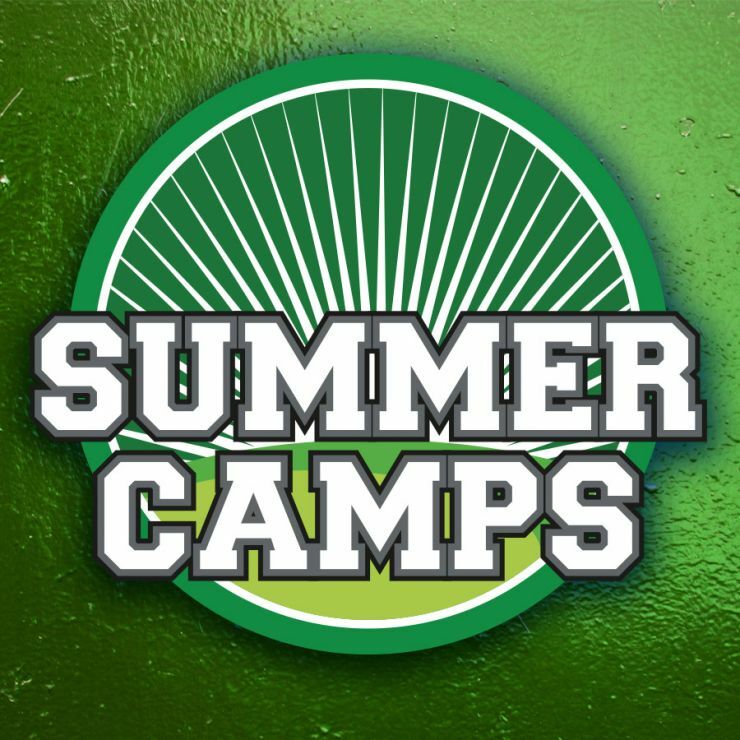 There will be several summer camps offered by our great coaches here on campus at Tampa Catholic this summer. Football, Volleyball, Baseball, Dance, Cheer and Basketball. 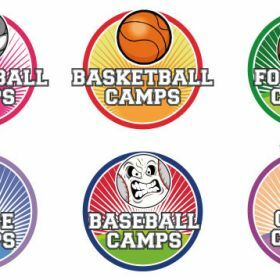 You can find out about all the camps on the TC website, but here is a quick overview. 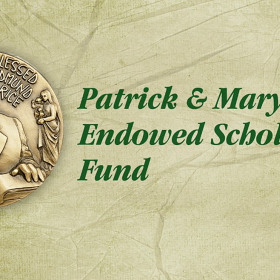 Find out more about the two scholar athlete awards, one to a female and one to a male graduating senior who has performed on the athletic field as well as in the classroom. Spring Football review and get your Physicals done early. Don't miss the Spring Football Game tonight at Crusader Stadium, 7PM. And this week I think back over the course of the last 12 years driving to school with my children. 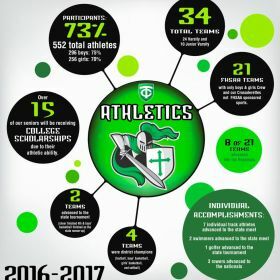 A look at some of this year's team accomplishments and success stories. TC had 10 teams reach District championships and/or go on to Regional play. Get the scoop on Baseball's Regional play and the Track team individuals headed to Regional meet. 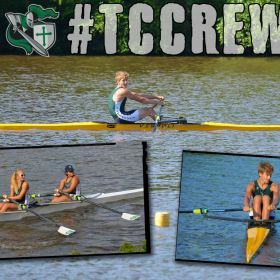 AD Blog updates Spring teams still in the running for Districts & Regionals, along with upcoming Crew regatta and National Basketball honors. 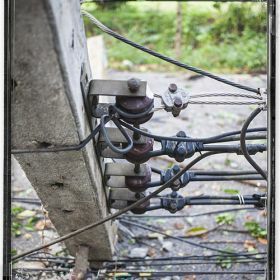 Back on the blog again! 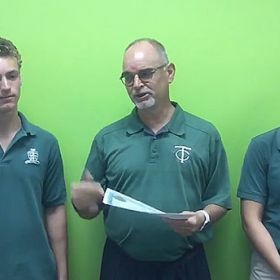 Coach D talks about our boys soccer & boys basketball teams playing in FHSAA State finals and gives a Spring Sports update. 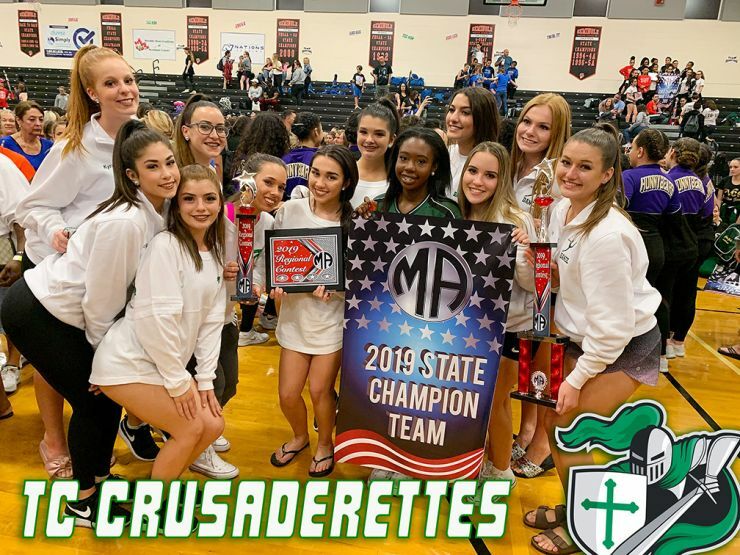 Crusaderettes bring home several awards from MA Dance Competition in Sanford, FL. Information about upcoming tryouts for next season. 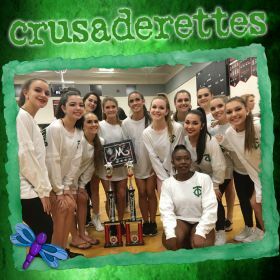 Tryouts for the Crusaderette Dance Team will be held May 16 - 19. A mandatory information meeting will be held Monday, May 2 at 6:00 in Crusader Hall. 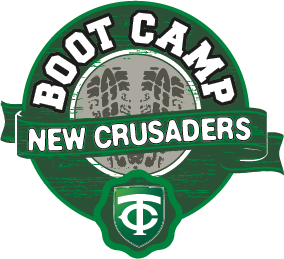 Campers will be taught football fundamentals from the current TC coaches and players, as well as other top high school coaches in the area. 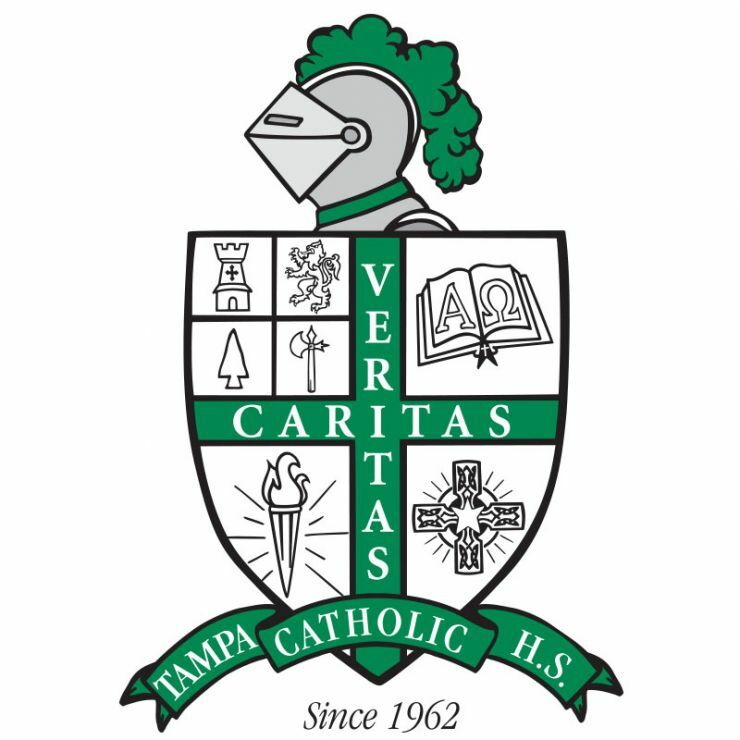 There will be a meeting for all incoming freshmen and newcomer football players hosted by the Tampa Catholic Football Staff and Parent Club. With a tougher non-district schedule than the years prior, we will build ourselves to prepare for another playoff run. Always noted for playing very tough schedules the 2015-16 schedule appears to be one of the toughest in the history of the team. What is lacrosse? the history of the game we know. The 2015 season begins now, let’s start a new set of traditions and move to the front of the pack. I want to wish everyone a happy and prosperous summer. 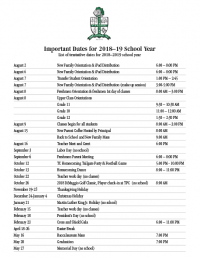 Students enjoy your time off, parents put your kids to work, and let’s all return next August with the vigor to make Tampa Catholic even better than what it now is.